Sensitive skin reacts easily to both external and internal factors including sun, wind, cold, chemicals, medications and stress. Before you purchase a skincare product, read the label. Look for words like “mild”, “gentle”, “for sensitive skin” and “hypo-allergenic”. Products that are fragrance-free and soap-free are a good choice. Certain medications can make your skin more susceptible to sensitivities; such as Retin A, Accutane, some antibiotics, sulfur drugs, diuretics and anti-depressants. Many of these medications will make your skin supersensitive to the sun. When that’s the case, your pharmacist will apply warning labels advising you to avoid sun exposure. You may find it helpful to pre-moisten skin with plenty of water before cleansing. The water will dilute the product, which will make it milder for your delicate skin. Apply moisturizer to pre-moistened skin for the same reason. You may use a smooth sponge or soft washcloth but avoid any rough cleansing tool that might cause you irritation. 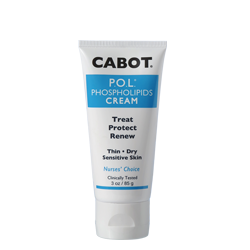 Cabot Oat Protein is a great choice for people with skin sensitivities including more serious skin conditions.P.O.L. Cream and P.O.L. Lotion moisturizers are one of our best sellers and recommended by dermatologists. 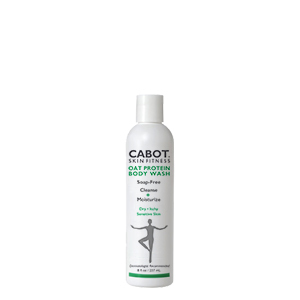 A revolutionary hydrolyzed oat protein formulation that is clean, pure and naturally soothing to provide gentle cleansing and moisturizing of dry, itchy, sensitive skin. Helps maintain its natural balance. Oil-Free, Hypo-Allergenic, Soap-Free, Dye/Colorant-Free, Paraben-Free. Dermatologist recommended.